5 Bedroom / 3.5 Bath (4 Queen Beds, 1 Twin Bed, 1 Double, 2 Sofa Beds) home located on the canal in South Bethany. 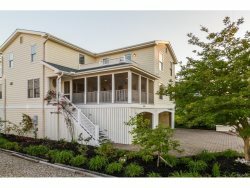 Enjoy the screened porch and decks as this home borders the water on 2 sides! Central ac, WiFi, new washer/dryer, dishwasher, microwave, TV & DVD - new berber carpeting in the living room and beautiful vinyl plank flooring has been added to the second-floor entry, kitchen, dining room and 1/2 bath on the main living level. SATURDAY - SATURDAY RENTAL IN PRIME SEASON.